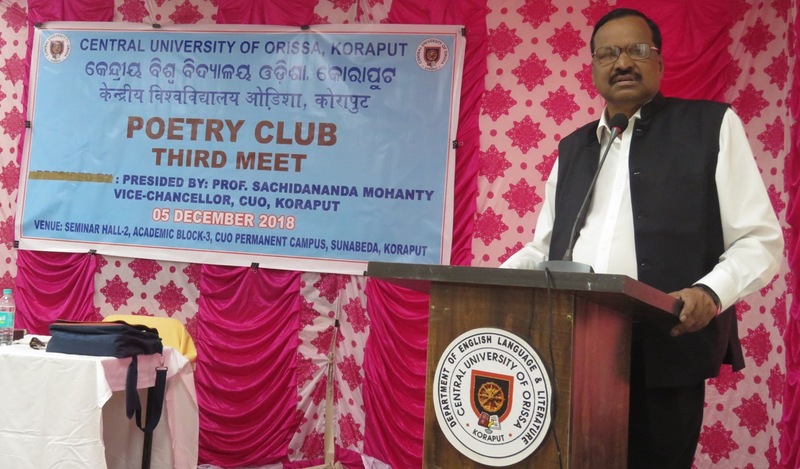 Report by Nishapati Nayak; Koraput: Central University of Orissa, Koraput organized third meet of its Poetry Club at the main campus, Sunabeda today. Prof. Sachidananda Mohanty, Hon’ble Vice-Chancellor inaugurated and presided over the programme. 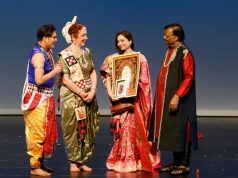 Renowned poets of the region, namely Dr. Pritidhara Samal, Koraput Mr. Rabi Satapathy, Koraput and Ms Madhuri Panda Damonjodi graced the occasion and recited “Manisa”, “Andhara Bhitare Thai”, “Bou”, “Chhai”, and “Tume Bjiba Boli” respectively. The students of various departments recited their own creations and the presence of the Vice-Chancellor who till the very end provided encouragement and enthusiasm to the budding poets. 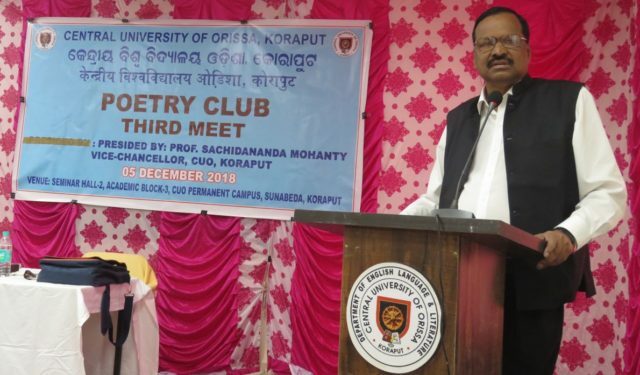 Prof. Mohanty congratulated the ‘Poetry Club’ for successfully organizing the event. He deemed poetry to be a difficult art and opined that the true poet was one who always sought isolation from the social sphere. In addition to this, he stressed that the university, especially the poetry club, would be entirely committed to the inward flow of the poetic urge. He expressed his strong conviction to do away with the existing hierarchies in disciplines and discourses, which downplayed the realms of literature and the art of poetry in particular, and emphasized on the autonomy and specialty of every subject and every language. He encouraged the students to learn more languages in order to relish the varied nuances of poetry. 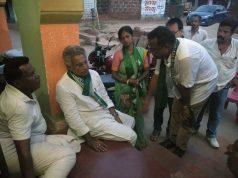 He recited a love poem of Bidyutprabha Devi, the well-acclaimed poet of Odia literature. The objectives of the CUO Poetry Club as outlined by him are to encourage poetic urge in the young hearts and to foster creativity among the youth. 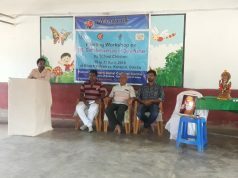 Dr. Satabdi Behera, lecturer in the Department of Hindi introduced the guest and Sri Sanjeet Kumar Das, Assistant Professor, Department of English as well as secretary of the CUO Poetry Club delivered the welcome address. Dr. Rudrani Mohanty, lecturer in the Department of Odia delivered the vote of thanks. The programme was compeered by Ms. Rachna and Mr. Balmiki Karuna, students of the Department of English and the Department of Odia Language and Literature respectively. On this occasion students, faculties and staff of the University were present in large numbers.